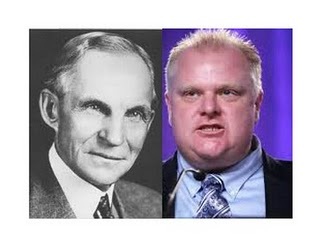 From car assembly-line pioneer Henry Ford, to Toronto’s new pro-car mayor Rob Ford, we are living in an auto-dependent and auto-destructive society that is harming our health and our environment. 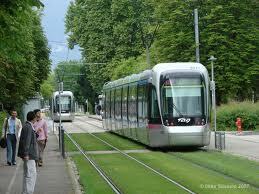 But a healthy and green, car-free world is still possible. Even without collisions, car production contributes to the cancer epidemic (as the Canadian Auto Workers’ Prevent Cancer Campaign puts it, “the auto industry is producing laryngeal, stomach and colorectal cancers along with its cars”) while car use contributes to air pollution that leads to respiratory and cardiac conditions (which by some estimates kill more people than crashes do). Car dependency is also harming the planet—with roads that pave over arable land and undermine animal migration, emission gases that lead to global warming, a requirement for oil that leads to inevitable oil spills like in the Gulf of Mexico, and animal deaths dismissed as “road kill”. 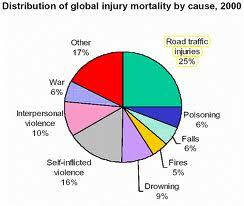 Why are we so dependent on a mode of transporation that is so harmful to people and the planet? The name of Henry Ford is synonymous with industrial capitalism, market efficiency, ingenuity and economic progress. How did he do it? Pioneering the assembly line in car production, Ford purged the intellectual involvement of workers in the product of their labour (brilliantly spoofed by Charlie Chaplin). As Ford famously complained, “why is it that whenever I ask for a pair of hands, a brain comes attached?”, and he went to great lengths to make his company the last major automaker to unionize—from shooting unemployed workers on the Ford Hunger March in 1932, to beating up union organizers in the Battle of the Overpass in 1937. During WWII, Roosevelt created a War Production Board that turned the whole economy towards war, banning civilian car production and mandating tanks, planes and munitions instead. Fare hikes, transit decay, attacks on salaries and working conditions have continued to undermine public transit. Last summer the Toronto media launched a campaign against transit workers, focusing on a fare collector with health problems who fell asleep on the job, who recently died of a stroke. 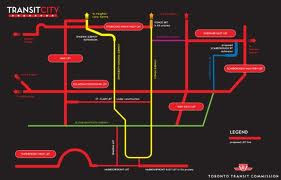 Toronto’s new mayor Rob Ford wants to provide the coup-de-grace to public transit. He promised to rip up street cars (finishing the job of National City Lines), and on his first day in office he declared that “the war on the car is over” and that the previous Transit City plan to massively expand public transit was dead. He also follows Henry Ford’s obsession with undermining workers rights, blaming poor subway conditions not on underfunding but on the 13 days of strike over the past 20 years—and promising to revoke transit workers right to strike. Meanwhile, most public health solutions propose harm reduction strategies—seat belt, don’t drink and drive, reduce speed—that take the car society as a given, while financial disincentives like tolls or taxes simply punish those with less money who are forced by circumstance to depend on cars. In Canada, 900 steelworkers have been locked out by US Steel, which is trying to scrap their pensions. With the billions required to extend the war in Afghaninstan, the Canadian government could nationalize US Steel to cover the hard-earned pensions, and turn steel production towards windmills for energy, and electric trains for transportation. A healthy and green world is possible, but to paraphrase Oscar Wilde, either the car goes or we do. This entry was posted in Left Views and tagged Cars. Bookmark the permalink.